One of the factors that can cause hydroplaning is the condition of your tires. If your tires are old and worn, you are more likely to get yourself in a skid. Make sure that you change your tires on a regular basis. Another factor that can influence the likelihood of getting into a skid is how often your tires and wheels are rotated. If you regularly rotate your wheels and tires, you will increase your ability to maintain control of your vehicle while driving on a wet road. 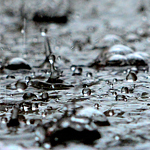 For tips on avoiding hydroplaning or services on your car, visit or call Mossy Fiat. We are available to make sure your vehicle is in the best condition to drive on wet roads.